Cleaned To Perfection’s Mattress cleaning service to help you get a better nights sleep. You spend about a third of your life on your mattress. When was the last time you gave it a good, deep clean? The seldom-used living room sofa probably feels the bristle of a vacuum brush more often than your trusty mattress. It’s time to change that. Besides promoting a more pleasant and productive night’s sleep, a clean, cared for mattress can last longer—and it might even help prevent nasty, not to mention costly, pest infestations. 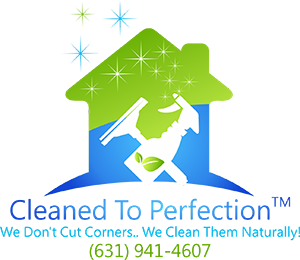 Start the cleaning process by stripping the mattress of all sheets and bedding and tossing the items in the wash. To remove tough stains, always use a Consumer Reports top-rated laundry detergent and the hottest water setting on your washing machine; dry on high heat as well to zap any surviving critters. Next, vacuum the entire mattress surface with the upholstery attachment on your vacuum cleaner. Pay attention to seams and crevices, where dirt, dust, dead skin, and other icky stuff collect; switching to your vacuum’s crevice attachment can help get in deep. Our tests have found that a normal vacuum cleaner provides capable cleaning, but if you’re fastidious, consider investing in the Dyson V6 Mattress Handheld Vacuum, a $250 device designed specifically for the job. In a Consumer Reports at-home mattress test, we cleaned half of a foam Tempur-Pedic mattress with a top-rated canister vacuum and half with the Dyson handheld. The Dyson sucked up 3 grams of material, including dead skin cells that dust mites like to nosh on, compared with the 1 gram that our regular vacuum removed. Once you’re finished vacuuming, check for stains and spot treat them with an appropriate cleaner. An upholstery cleaner or enzyme-based pet-odor remover can do the job on many bodily fluids. You can also try a simple solution of 1 teaspoon mild dish detergent and 1 cup of warm water. 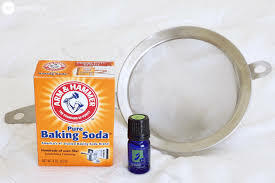 Next, deodorize the mattress by sprinkling baking soda over the entire surface. Especially if this is your first cleaning, don’t be afraid to empty an entire 1-pound box onto the mattress. For best results, leave the baking soda there for 24 hours. That means you might need to plan the project around an overnight trip—or be willing to sleep elsewhere in your home. If you can place the mattress near a window, the sunlight will add its sanitizing power. After the baking soda has had a chance to tackle odors, go back over the mattress with your vacuum’s upholstery attachment. If you don’t already own a mattress cover, we recommend buying one. And adding a mattress pad between the cover and bottom sheet will help absorb moisture. Along with the periodic deep cleaning described here, these extra layers of protection will help prevent mites, fleas, and other pests from sharing your bed. That should really help you sleep tight.